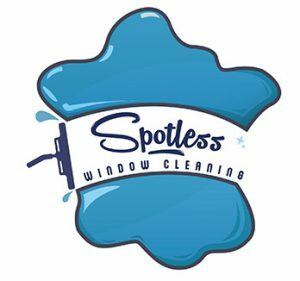 We first started our business 15 years ago, where our one and only service was cleaning windows. As we progressed through the first few years we built up our reputation, and consequently also our customer base. What people want from a Window Cleaning service is reliability, regularity, and a high standard of work. In addition to these key values we have also developed our fantastic customer service which is important. The general opinion from the majority of our many happy customers is that you have to go through a handful of window cleaners to find a company that ticks all the right boxes. Before the majority of our customers came to us, they had window cleaners who turned up whenever they felt like it and without any notice. As a result of this we added our courtesy text message to our service, where we send each and every one of our customers a courtesy text message the day before we arrive, to let them know that we will be visiting. A lot of our customers have had an experience with a previous company where the service that they received did not live up to their expectations. 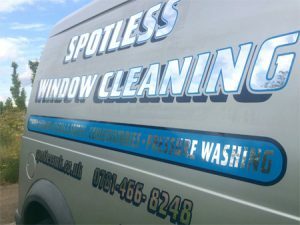 This inevitably has an impact on people’s perception of window cleaning companies, and they are a little sceptical about the standard of service that they will receive from companies in future. As a result of this, we give all of our customers our satisfaction guarantee. The purpose of our satisfaction guarantee is to give all of our potential new customers & our existing customers, the confidence that they will get the exact service that they pay for, and rightly expect. We pride ourselves on the high quality of our work, but promise that in the unlikely event that you are not completely satisfied with any part of the service that you have received from us, we will re-visit your property to continue the work for free until you are completely satisfied. Some of our customers have had Window Cleaners who they struggle to get hold of, even to ask the most simplest of questions. For this reason, we give you our personal numbers, and promise that we will reply to you the same day if not immediately. Over the years, as our company has grown, so has our customers demands. To fulfil these demands, we have added a number of additional cleaning services. Our services include many things, from gutter cleaning, fascia & soffits cleaning, cladding cleaning, driveway & Patio cleaning, conservatory roof cleaning, to our signature £55 cleaning Blitz. This now makes us our customers one stop cleaning service in Milton Keynes. Being a medium sized company providing a service to Milton Keynes & surrounding villages, means that we can provide a more personal service than our competitors. Our number one priority is to keep our customers happy, as we have found that keeping our customers happy is the key to our success. All of our professionals are uniformed, fully trained, friendly, thoroughly vetted, and we are fully insured.